Working with our hydraulic equipment service partners, we can offer you a complete package of hydraulic repair service solutions that are tailored to your requirements. Moreover, our services use proper maintenance and inspection procedures that help to increase the useful life of hydraulic plants, lubrication systems, electro-hydraulic controls, and regulators. We work around your busy schedule, coming to you with our hydraulic equipment repair service. 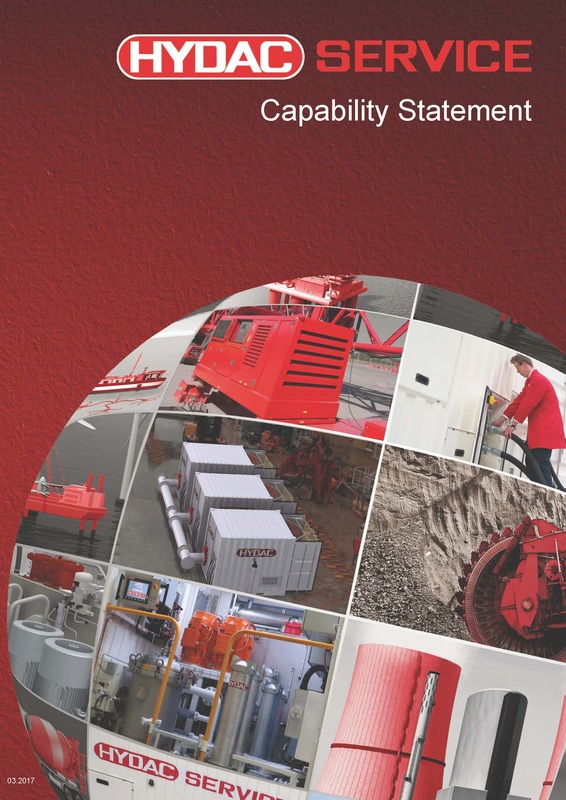 Click here to see our Service Capability Statement. From hydraulic equipment setup and installation, through to pipe work and system flushing, and finally to pressure testing and actual commissioning, an experienced team of project supervisors electronic engineers, electricians, hydraulic engineers, fitters, and welders are available for assignments around the globe. We carry out hydraulic repairs for the entire HYDAC product range as well as other makes of equipment. Indeed, depending on your requirements, we can carry out individually commissioned repairs with prior consideration to costs and develop repair packages to include spare and reserve parts. As part of our fluid services, HYDAC conducts inspections and maintenance of system plants. Regular checking of the operating system prevents expensive downtime that’s spent waiting for a hydraulic repair service to have your machinery back in prime condition. Furthermore, record of switching shocks and vibrations is possible by using the latest measurement technology, with analysis and log of all parameters. Then, using this information as a basis, it is possible to adapt the inspection intervals to the requirements. During a hydraulic equipment repair, we can also check safety components, such as steam testing units. Fresh oil filling, tank cleaning or a complete oil change. Professional handling when transporting fluids over distances of up to 120m and volumes of up to 200 m³, including the flushing of pipes. Preliminary monitoring of the machine / system for cleanliness, a requirement of safety equipment and obvious leakage sources. Blanking off pipes / user unit and filling the machine / system tank from a tanker or other containers via a filtration unit. Machine / system flushing in the main circuit until achievement of the requirement of cleanliness class. Continuous measurement of the cleanliness class in the flow as well as sampling of the oil to provide a reference sample for future comparative measurements. Connection of pipes / user unit and final leakage check. Complete documentation of the work and cleanliness class including completion of a Service Log which remains attached to the machine. Fluid management is a package concept for all aspects of fluid and components. By entering into a full-service or maintenance contract, you will receive a coordinated package of services – from the supply of media and components through to engineering, hydraulics and facility services that are geared towards the following objectives: savings in maintenance costs, savings in investments and labour cost optimisation. Indeed, fluid engineering means an increase in process reliability, taking proven technologies into account. With regard to specifications, spare parts, repair, maintenance and optimisation of oils, water, lubrication, cooling lubricants and air. Therefore, we analyse your production and servicing workflow from the technical and commercial point of view of fluid power technology and make a critical analysis of existing concepts and cost accounting. In this way, we move from the individual examination of the medium or component to a holistic approach. Furthermore, from the idea to the implementation, an idea alone is not a guarantee for success. The HYDAC Service Centre ‘accompanies’ you in every step of the implementation. Indeed, fluid engineering is a dynamic process that needs continuous monitoring for its suitability. 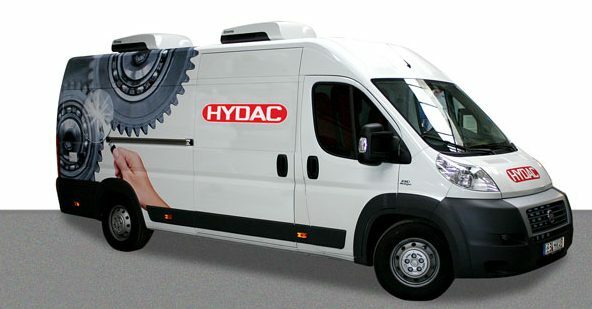 Here, you can rely on the HYDAC Service Centre with a team made up of fluid managers, team leaders and hydraulic equipment repair service staff. This is all about increasing operational availability and productivity. Technical progress waits for no-one. In many applications, machines purchased today can no longer produce the quality required tomorrow. Instead of buying new hydraulic equipment, an excellent alternative, both technically and in terms of cost, is often to convert and modernise the components and systems used. Moreover, by using the data acquisition unit (MDE), no limits are placed on the system. Therefore, all common physical parameters can be recorded by the MDE and processed by the CM-Expert: temperature, pressure, differential pressure, viscosity, water content, particles, flow rate, etc. What’s more, HYDAC conducts online monitoring of production systems directly on-site or via remote access! Our ‘remote’ version of the CM-Expert is perfectly applicable to wind energy, offshore applications and mobile hydraulics. It informs the operator in real time about the condition of their system and initiates service exactly when it is needed. Unnecessary (and thus expensive) maintenance has now become obsolete! Optimise the quality of your test hydraulic equipment by using the calibration service at HYDAC Service Centre. In order to guarantee that all the test equipment measures accurately under controlled parameters, they must be calibrated regularly. What’s more, the calibration process must be traceable to national measurement standards, and the results documented and certified. We calibrate the following equipment: CS and FCU (1000 and 2000 series). The condition of the fluid is crucial for optimum machine performance today. This means that the fluids must be monitored and tested. Process chain analyses define the state of technical cleanliness in the production process. We locate your potential for optimisation and develop measures to further improve component cleanliness values. Delivering everything from a clean component to a technically clean system. Technical cleanliness is becoming increasingly important in many sectors of industry, including the automotive industry, mobile hydraulics and production systems. What is essentially driving the demands for component cleanliness are the ubiquity of phrases such as ‘reduction and avoidance of start-up breakdowns’ and the difficulty of ever-increasing warranty periods. Furthermore, suppliers and producers of complete systems are required to meet more demanding technical cleanliness standards for their products and systems. We perform lab analyses as well as internal company standards, and perform site process chain analyses. Hire our hydraulic equipment as you need it instead of tying up capital unnecessarily. When equipment is only required for short periods, there is understandable opposition to making any costly investment. Therefore, hiring the equipment is an economical and flexible alternative. Whenever you need a piece of equipment, such as a measuring unit or a mobile filtration system, it’s there ready for you! All units are maintained, undergo hydraulic repair and checked regularly, and are therefore always ready for operation. Our specialists will be pleased to advise you in advance on selecting the best unit for your application. We will ensure that the hire equipment will be available on schedule, and therefore that your project runs smoothly. Ensure your hydraulic equipment continues to perform at its peak with the equipment repair service offered by HYDAC through our service partners.